Over the course of your career, there will come a time when you have to quit your job and move on. It's not an easy process - get it wrong and you could end up damaging your reputation. Get it right and you could have a network of contacts for life. So how do you quit your job properly? 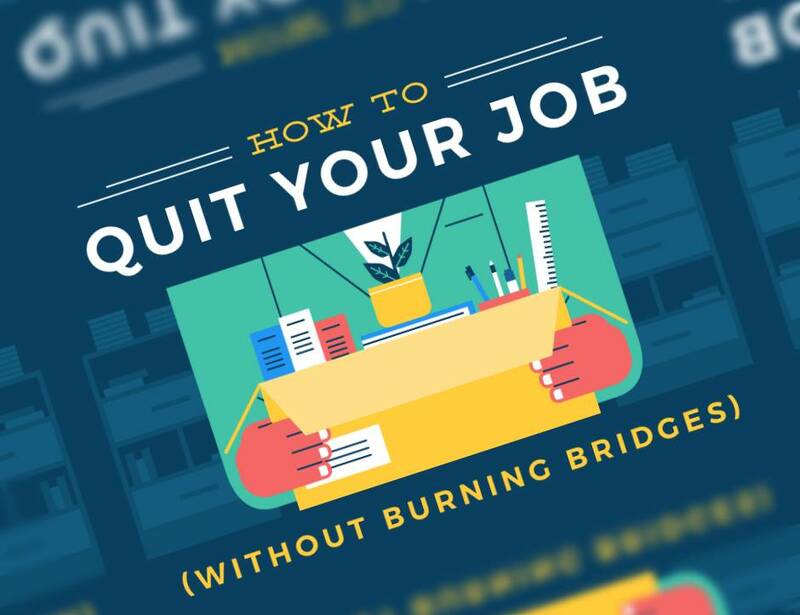 This infographic, created by Resume, delineates some expert tips that will ensure you move on to your new role without making enemies in the old one. Find the right time: Getting the timing of your exit right is essential to supporting a trouble-free handover for your boss and coworkers. Decide how much notice to give: Carefully consider how much you can support your co-workers by giving enough notice to ease the handover. Write a resignation letter: Writing a polite and concise resignation letter helps you to leave on a professional and positive note. Arrange a meeting with your boss to hand in your notice: Telling your boss first is a must. Keep the meeting professional, succinct and action focused. Create a job manual: A document that outlines your responsibilities and processes that can be used as a guide to help your replacement ease into the role. Prepare for an exit interview: Prepare some honest yet constructive answers to some potentially awkward question.